Welcome to our third of four articles profiling the most popular dog breeds used for assistance dog work. We’ve already covered Labrador and Golden Retrievers, so it’s time now to highlight the ultimate versatile working dog, the German Shepherd! Next time, we’ll finish off the series by profiling Standard Poodles. German Shepherds are the original service dog breed. They were the first to be chosen as guide dogs back in their native Germany and later in the United States. Now, as we find new ways for dogs to help people with disabilities, Shepherds have been trained to do all kinds of service dog tasks. Having said that, this breed is not ideal for everyone. Generally, when it comes to German Shepherds, people tend to fall into one of two camps. They either love this breed, or they really, really don’t. As for me, I freely admit that Shepherds are a personal favorite. They are intensely loyal, they love having a job, and they bond very strongly to their person. Shepherds love to learn and train, so it’s easy to teach them all kinds of useful things. My own Shepherd, Diamond, can guide, retrieve, and assist with balance if needed. She is highly driven and loves new challenges. These are all very typical characteristics of the German Shepherd breed. German Shepherds are a relatively large breed. They range anywhere from 22-26 inches in height and weigh anywhere from 70-90 pounds. They are longer than they are tall, and healthy dogs have a lean athletic physique with a commanding presence. GSDS are a double-coated breed that comes in a variety of colors. The most common are sable, black and tan, and solid black. 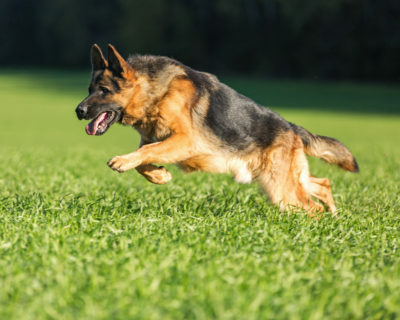 Correctly bred German Shepherds have a lot of energy relative to other breeds. They are smart, so they require a lot of mental stimulation as well as physical exercise. Generally, they are best suited to an active handler that can provide them with a lot to do. If they don’t get enough work, they will find ways to entertain themselves that most people don’t appreciate. A tired German Shepherd is a good German Shepherd! As a rule, the GSD is not a quiet breed. They can be barky and many love to literally tell their humans all about their feelings. If you want a quiet dog that never vocalizes, this is not the breed for you. Because they bond so strongly to their people, Shepherds are prone to separation anxiety. Making sure they have alone time is very important to help minimize this problem. It’s important to remember that German Shepherds are herding dogs bred to protect livestock. They also have been used to protect humans since their inception in the early 1900’s. One of the major obstacles with this breed as a service dog is this protective instinct. It can get out of hand which is problematic in public, so they need a handler who can provide strong leadership to keep things in check. Early socialization to all kinds of people and animals is also necessary for these dogs to be successful in any working capacity. Like any large dog breed German Shepherds are prone to elbow and hip dysplasia as well as arthritis. They can also have skin allergies and problems with the pancreas more often than some other breeds. It’s important to look for a service dog prospect from a reputable breeder that performs health testing on breeding dogs. As already mentioned, German Shepherds have a thick double coat, which means they shed in a big way, but they are pretty easy to groom and keep clean. It’s true that the German Shepherd can be a lot of dog for some people, and they do have their quirks. 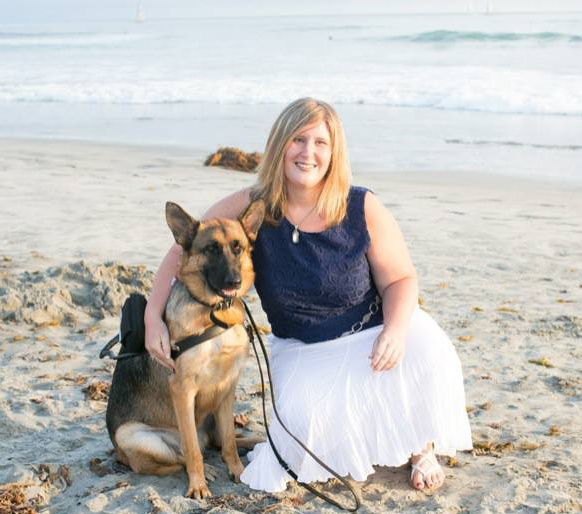 If you want an active, intelligent, and fiercely loyal partner, you can’t go wrong with these willing and versatile working dogs.